On Monday 11th March year 6 from the school Paganel Primary School visited the Library of Birmingham. My favourite part of the library was watching the presentations that some children from Wheelers Primary school did. The best presentation of all I thought was the presentation from TNT Ladywood on the news. The next other thing that I found really interesting was the Shakespeare room because it told you a lot about William Shakespeare. In some of the room it told you about the famous poems. My most favourite part of all was hearing from the two wonderful women who helped make a library in the country Ethiopia. I think that it was really kind of them to help make a library there. It was amazing piece of work.It was Monday 10th. Welcome to Libraries Inspire Learning. This site is to document and share some of the exciting presentations, films and other things happening at Libraries Inspiring Learning. We want you to contribute, either comments about presentations, or maybe you have stories, resources or projects you'd like to share? The event is hosted by the Library of Birmingham and is coordinated by Paganel Archives. Paganel Archives is the first, and only, ARCHON Registered repository archive in a state primary school. The archives were opened in 2013, funded by the Heritage Lottery Fund. The Paganel Archives After-school club continues to manage and develop the archives, supported by its partners including Weoley Castle Community Library, Birmingham Archives and Heritage and Birmingham Museums. 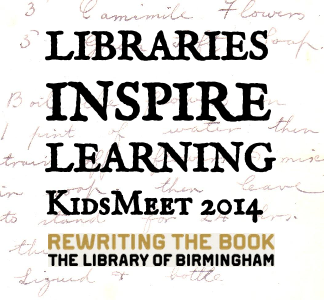 Libraries Inspire Learning' is a themed Kidsmeet event hosted by the Library of Birmingham where children aged 5 to 11 from different schools will get together to share great learning. The tag for the event is #kmbrum and there will be a live feed to the event to share learning nationally and internationally. For more information visit us. 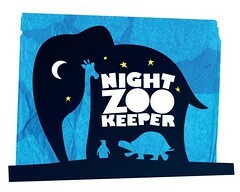 Next Vista For Learning provides a library of free videos made by and for teachers and students everywhere.